The BPS-2020 digital bypass switcher is an 8×1 switcher for digital video (SD or HD) and digital audio signals. 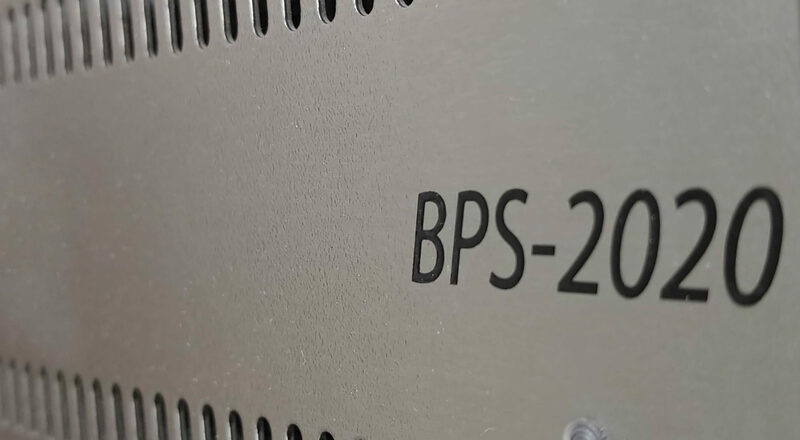 Designed for use in conjunction with the Utah Scientific MC-2020 Master Control Switcher, the BPS-2020 provides a compact reliable means for switching alternate signals into the program feed. Therefore bypassing the various elements in the master control signal chain. The optional clean-quiet switch module increases the usefulness of the BPS-2020 by ensuring that switch transitions between synchronous inputs are clean, preventing disruptions in downstream equipment. With this option installed, the BPS-2020 can be used anywhere that clean switching of SDI signals (SD or HD) is required. The BPS-2020 is housed in a 2RU frame with redundant power supplies. The BPS-2020 frame holds the 8-input video switcher board with on-board control logic, an optional video DA board to provide looped copies of each input if required, and one or two audio switch boards, each of which will handle two AES signal streams.